Fascinated again I stand and look at this amazing phenomena called ‘Internet’. No matter what is the subject, and no matter how advanced the digital invention is – the core of my fascination is how the world is now connected, and communities are created. It leads to a wave of realizations and knowledge, opinions, and discoveries of interesting stuff. Including 1970’s musicians. Songwriter and fabulous magical guitarist and soulful singer Michael Chapman is mostly known to those who knows him, thanks to his classic 1970 Fully Qualified Survivor. But many people, until recent years, didn’t know that Chapman released some other amazing albums and never stopped working from 1969 till these days. His sudden rediscovery in recent years, is pretty interesting. From a musician who was known for that classic album, he became one of the most talked about veteran musicians and his name started to appear everywhere. First, he toured in the US with Jack Rose then later was introduced to others from the scene and toured with them. Then it was the release of two important albums, the Trainsong compilation released by Tompkins Square, and the Clayton Peacock album that was out on Ecstatic Peace. Then The Wire magazine chose the later as the album of the year (! ), then Light At The Attic released ‘Survivor’ on a 180g LP, and then did the same with his debut Rainmaker, and now – a new tribute album is coming. 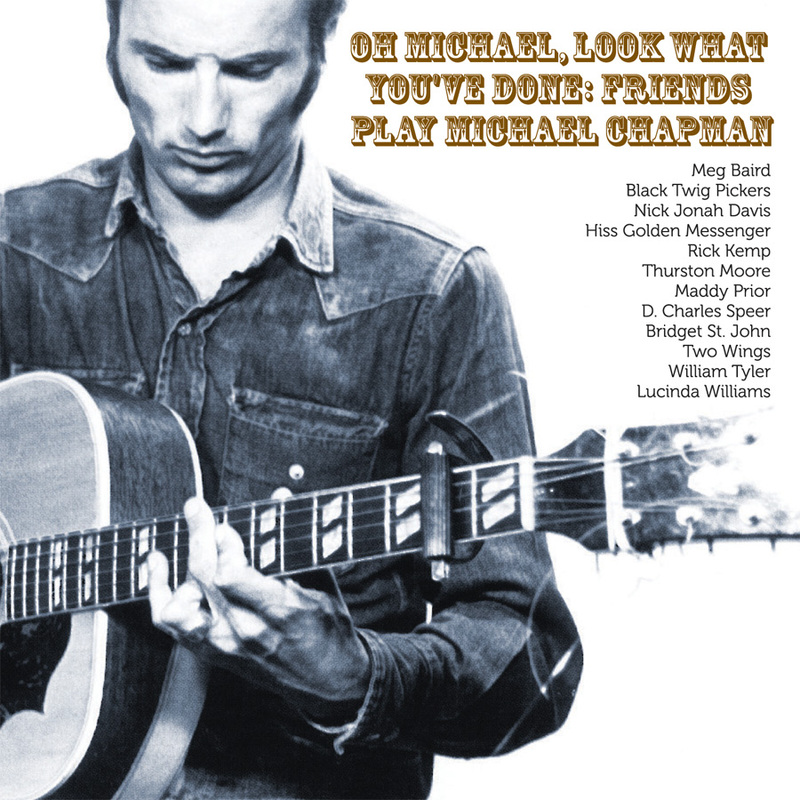 The new album titled Oh Michael, What Have You Done : Friends Play Michael Chapman, is a co-production if Tompkins Square man Jonathan Rosenthal, and Michael’s wife Andru. The musicians are young and veterans, who shared the stage with Michael or had been friends with him for many years (including Muddy Prior and Bridget St. John!). The two tracks available online, are promising. Lucinda Williams is doing That Time Of Night, one of Michael’s most beautiful yet criminally unknown songs, from his 2008 Time Past & Time Passing, in a dark and gloomy way, while Mag Baird is doing No Song To Sing off his Rainmaker album. Tributes are risky but I can’t say more then that as I didn’t listen to it. Tell you what, though, the song selection is surprising and contains some track from really unknown albums (like Life On The Ceiling) for example. The album will be released on May 29th. This entry was posted in Album reviews, Best of 2012 and tagged Folk, Folk-Rock, tribute. Bookmark the permalink.